New collective aims to create a new third space in-between freelancing and being employed by an agency. 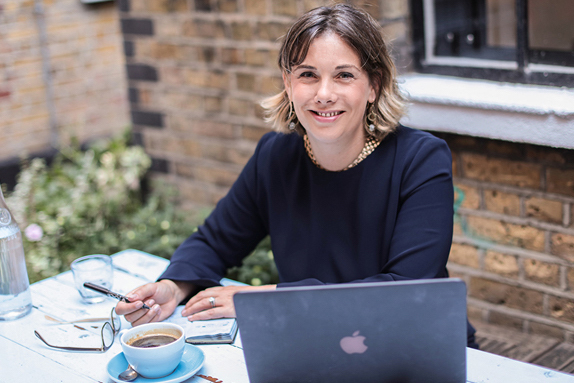 Amelia Torode, above, the former chief strategy officer at TBWA\London, has launched The Fawnbrake Collective, a new operating system designed to usher in a new approach to creative talent. The agency has already signed its founding client HiyaCar, a car-sharing service that aims to become the Airbnb of cars. The company enables consumers to rent out their cars when they are not being used by installing a smart QuickStart box that enables other drivers to securely book, unlock and start the car via their phone. The Fawnbrake Collective will operate as a "middle ground" between the safety of large organisations and the isolation of being a sole trader. This adaptive approach will also enable the collective to flex to work around a bespoke brief. It is an approach that has been welcomed by Graeme Risby, the co-founder of HiyaCar, who said: "Amelia and The Fawnbrake Collective approach was something that we had not seen before. Our company is moving so fast, the old agency models don’t work for us. We’re delighted to be partners as we launch what we are aiming to be a global $1bn (£740m) brand." According to Torode, while what the world doesn’t need now is a new agency; the issue is that current working practices are leading to a talent drain from the industry. At the same time individual creatives and strategists make themselves "really hard to buy" within big agency structures. The adaptive collective will operate in a new way with no headquarters, no internal email and no hierarchies. Members will work together on pro bono briefs and commercial projects with the aim of aligning behind values and beliefs. The agency will work in partnership with clients and start-ups, VCs and agencies. Through this approach, The Fawnbrake Collective aims to operate as a "strategic and creative kite-mark" which will act as a badge of assurance for marketers. The launch of the collective comes at a key point in the evolution of the advertising industry, with some in the industry believing the traditional "work hard play hard" culture is no longer fit for purpose. This trend is being exacerbated by the growing pool of talent who see freelancing as the first choice for a fulfilling creative career. "There has to be a different way of working," says Torode who is focused on bringing together the myriad of talent which has collectively leaned out of the industry. Torode believes traditional agency structures are impeding creativity, a state of play which is driving an unprecedented talent exodus either to go freelance or to leave the industry entirely. She explains: "Out-dated structures are stifling strategy and creativity. It’s time for a different adaptive approach. People want more control over what they work on, who they work with and how they work. They are calling out to work fast, work flat, work together. The best talent wants to work with others, not for others." It is an approach that will place a far greater focus and respect for time, the world’s most precious and finite commodity that no-one – especially agency folk – ever has enough of.